Fancy a salad? You’ve come to the right place. 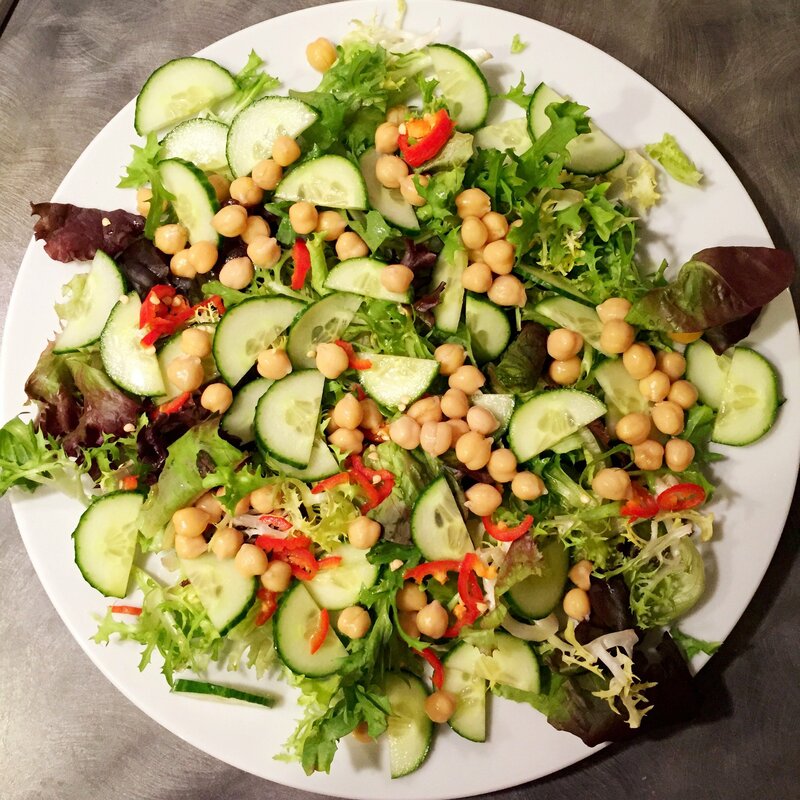 We’ve every kind of salad you could want on your plate and a few more beside. Treat yourself to a delicious healthy feel good meal filled with fresh ingredients, lots of taste and packed with vitamins and minerals. 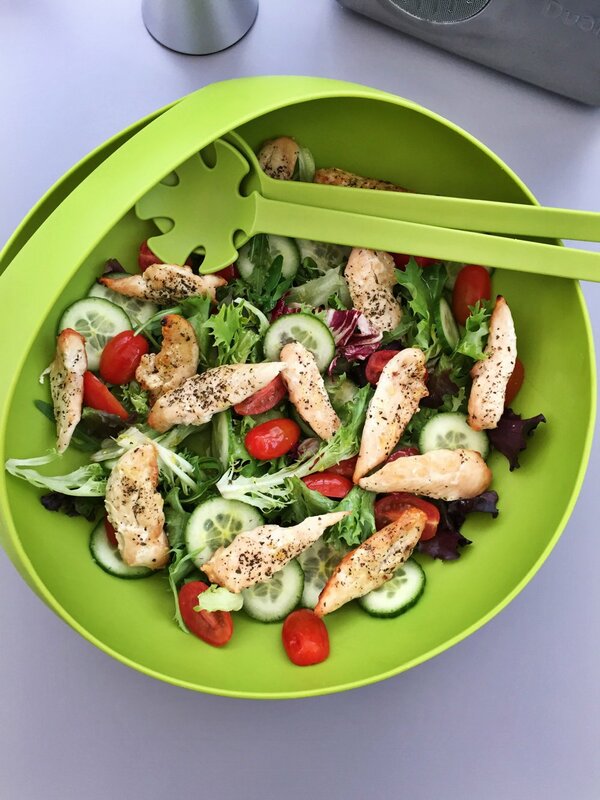 Salads are a great way of getting fit and healthy ready for summer, curb your carbs and fill up on fresh healthy salad vegetables. 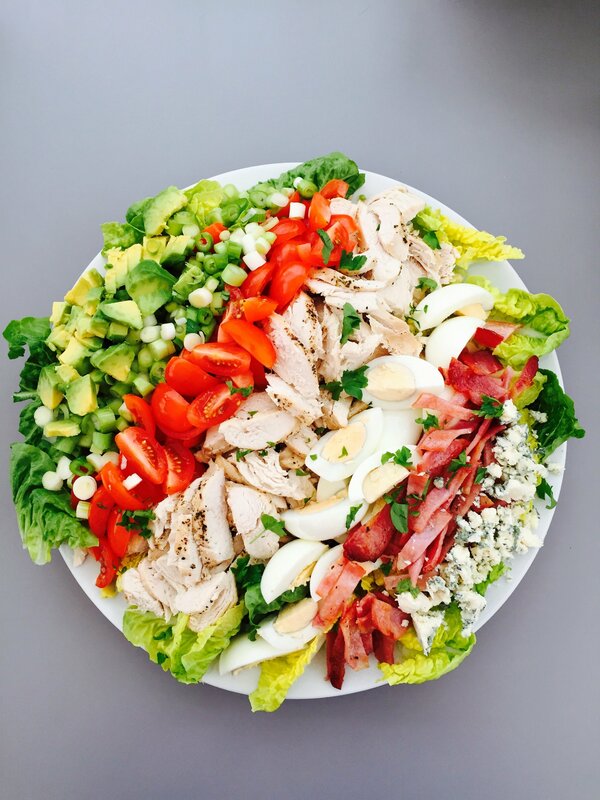 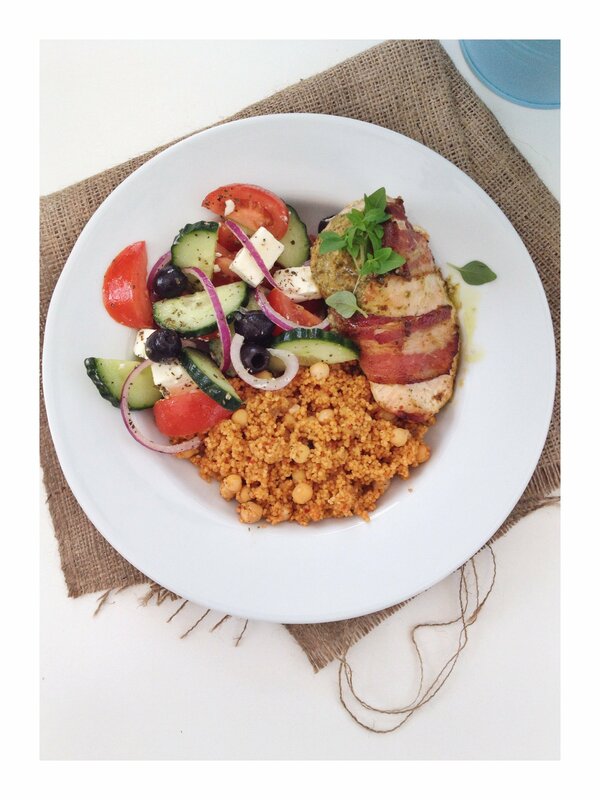 Cobb salad – tasty, filling, packed with protein – chicken, bacon, blue cheese. 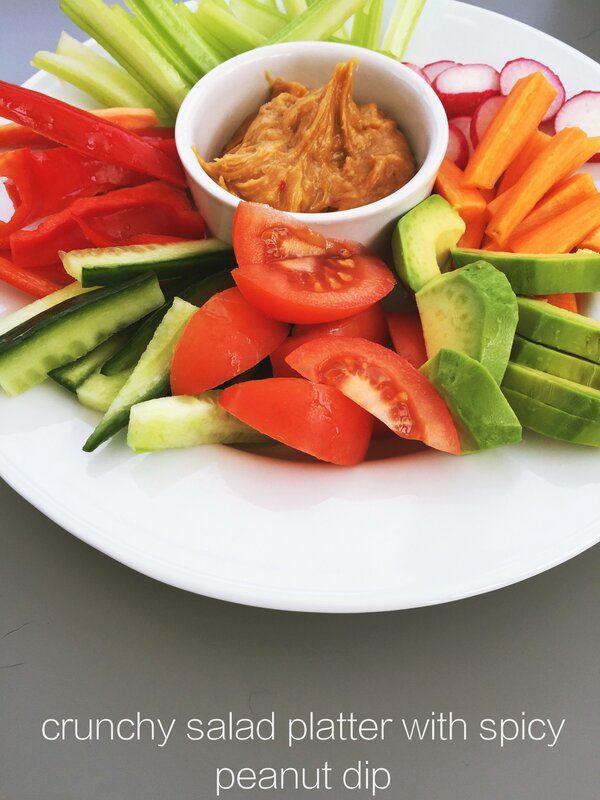 A salad feast. Greek Chicken Salad – traditional Greek salad with all the usuals feta, black olives and a generous helping of chicken. 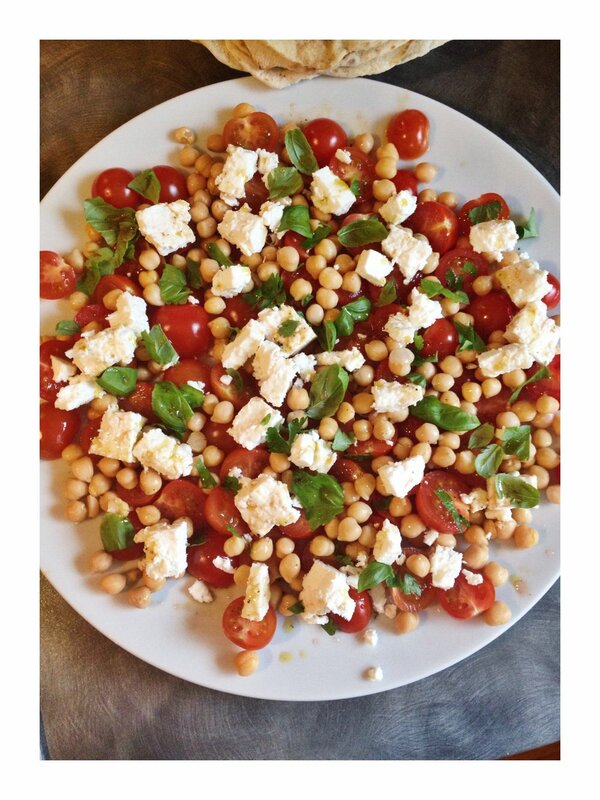 Just add a pitta. Yum! Simple grilled chicken salad – nice fresh filling main course salad. 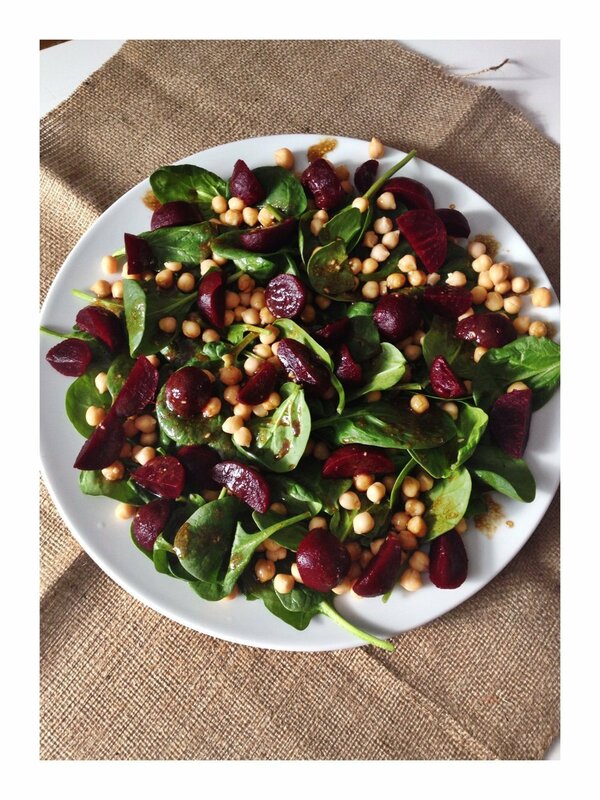 Super simple and super quick. 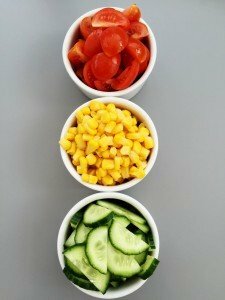 Traffic light salad – side salad for the kids, bright, crunchy and super healthy. 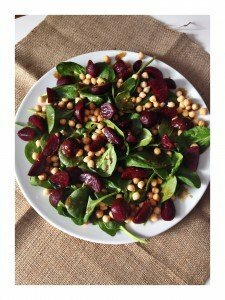 Beetroot, chickpea and spinach salad – vegetarian main course salad with beetroot, chickpeas and vibrant spinach tossed in a healthy salad dressing. Crunchy salad platter with spicy peanut dip – whip up a quick and easy spicy satay dip and load your plate high with crunchy munchy salad vegetables. 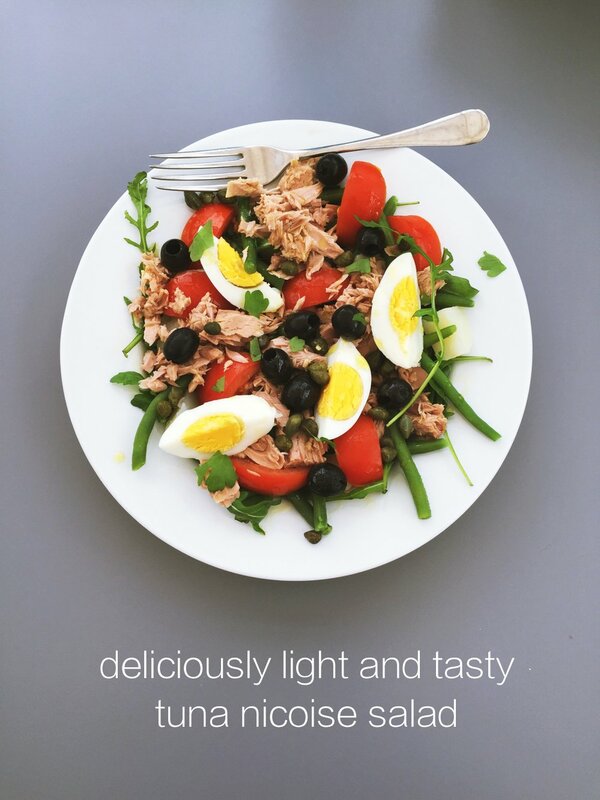 Tuna Nicoise salad – classic main course salad with baby potatoes, fresh salad greens, green beans, tomatoes, olives, tuna tossed in lemon juice and boiled eggs. 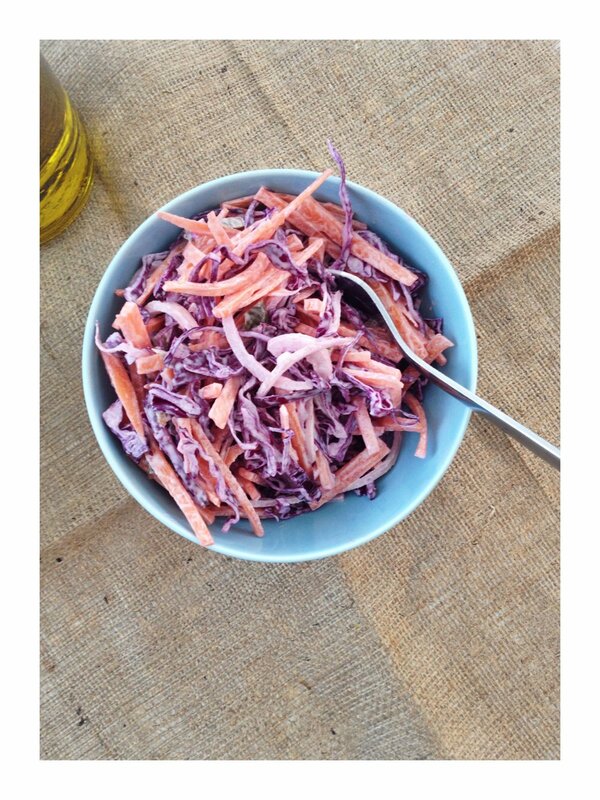 Chicken tikka and mango salad – super quick healthy twist on a Coronation chicken – packed with flavour. 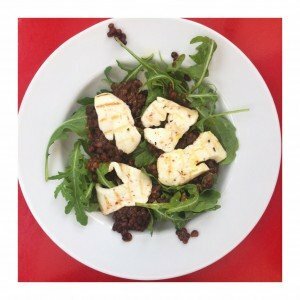 Pear and Stilton salad – mouthwatering salad greens with pear, walnuts and blue cheese. 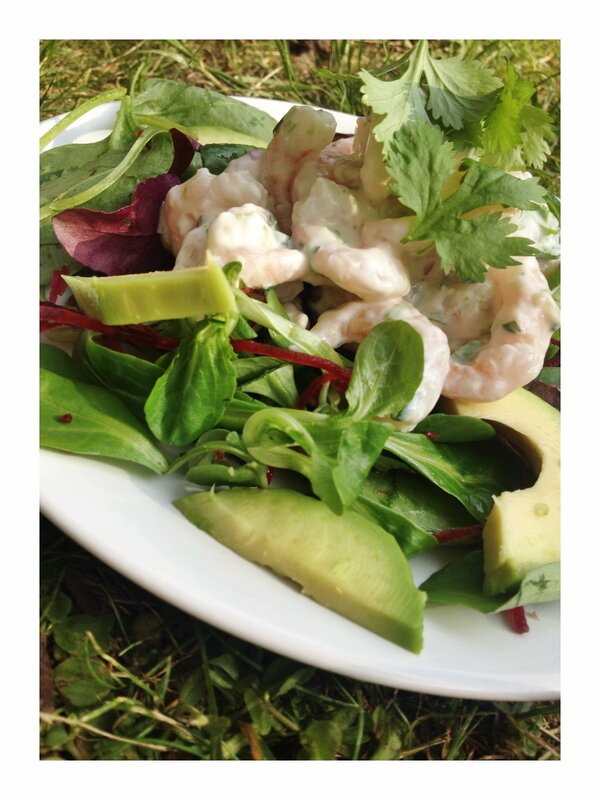 Prawn and avocado salad – simple and delicious quick prawn and avocado salad, perfect for summer days. 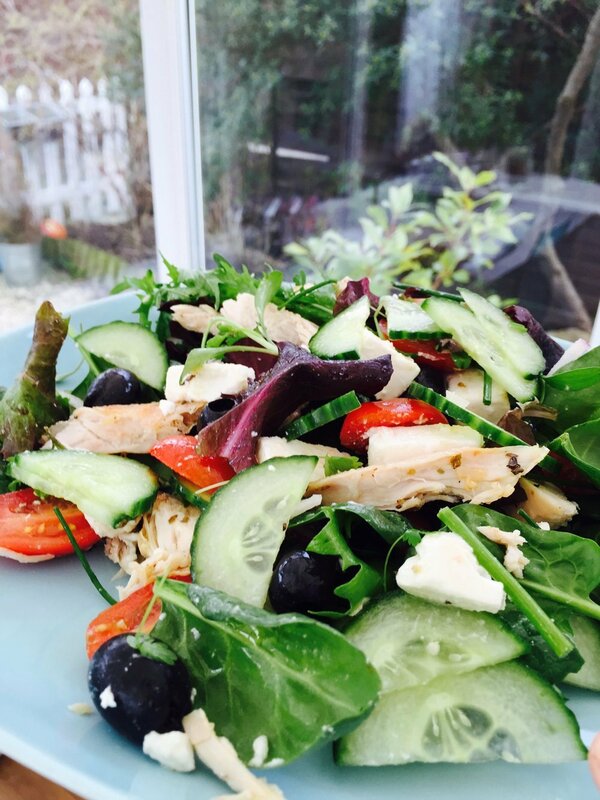 Pea salad – main course vegetarian salad with fresh salad greens, peas, feta and artichoke. Halloumi and lentil salad – rocket tumbled with puy lentils and charred halloumi cheese. 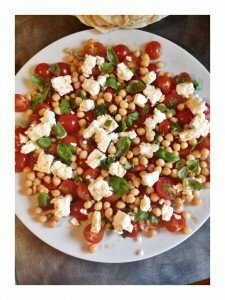 Tomato, chickpea and feta salad – delicious combo of feta, chickpeas and tomatoes, great as a BBQ side salad with sausages and burgers or stuffed into chicken wraps. 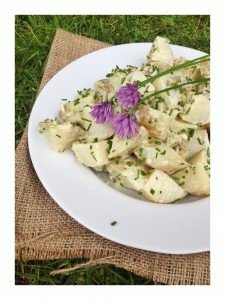 Classic potato salad – classic creamy potato salad, lovely at picnics or BBQs. 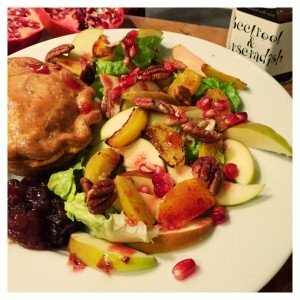 Autumn salad with apples and roast beets – autumn on a plate, apples, roast beets, nuts and fresh greens, great with a Ploughmans lunch or pork pie. 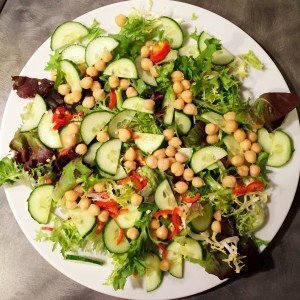 Spicy chickpea salad – zingy fresh salad packed with flavour and nice served as a side dish to curry or kebabs. Jalapeno slaw – spiced slaw packed with jalapeño, perfect with burgers, hot dogs or pulled pork sandwiches. 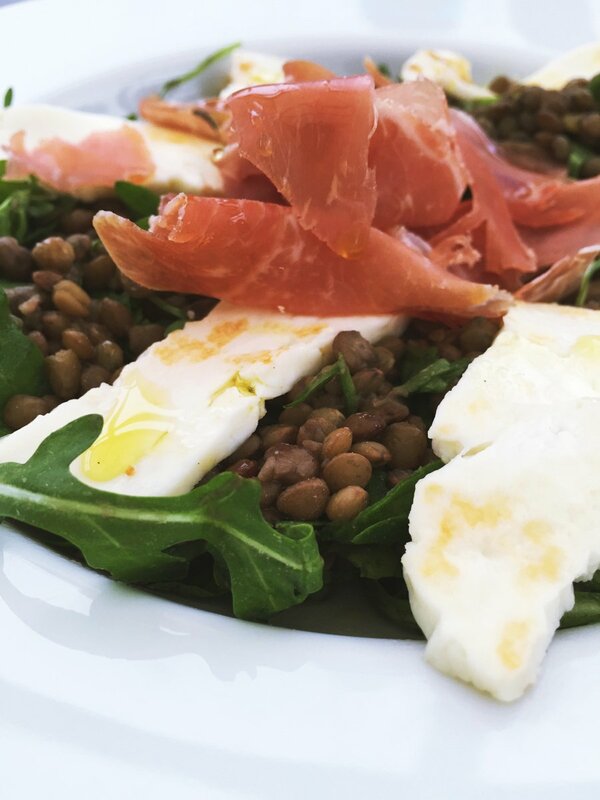 Lentil and prosciutto salad – main course salad for a tasty light supper dish. 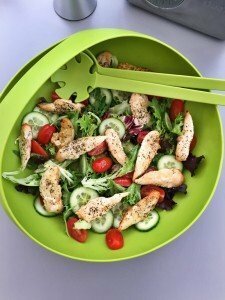 Chicken with Greek salad – classic Greek salad served with pesto chicken breasts.